Last time we presented you with a thorough list of everything we know about the laptops that sport the GeForce GTX 1060 Max-Q GPU from NVIDIA. So today get ready to find out all the important information about the models that boast the full-fledged GeForce GTX 1060 GPU in combination with an 8th gen Intel Core processor. We begin with this attractive gaming device which boasts up to an 8th gen Intel Core i7-8750H processor in combination with the full-fledged NVIDIA GeForce GTX 1060 graphics card with 4GB of GDDR5 VRAM, of course. The specs sheet is complemented by up to 32GB of DDR4-2400 memory, 2.5-inch HDD plus another M.2 PCIe NVMe-enabled SSD slot. For the purpose of the enjoyable viewing experience, this notebook offers you a 15.6-inch IPS display with Full HD (1920 x 1080) resolution. In terms of design, the notebook is in line with the Predator series and uses aluminum and plastic for its build. And finally, it features dimensions of 390 x 266 x 27 mm, as well as 2.70 kg (6 lbs) weight. 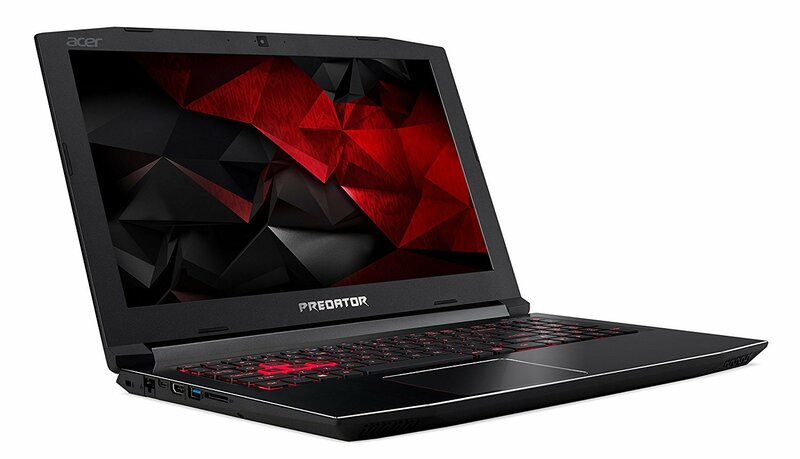 Acer has also launched a 17-inch version of Acer Predator Helios 300 which can be configured with 7th or 8th gen Intel Core processors, accompanied by NVIDIA GeForce GTX 1060 (6GB GDDR5) or GTX 1050 Ti (4GB GDDR5). In terms of memory, the maximum you can go for is 32 GB, while the storage configuration is standard – an M.2 PCIe NVMe SSD plus a 2.5-inch HDD. To ensure a fulfilling gaming experience, Acer Predator Helios 300 comes with a 17.3-inch Full HD IPS panel which also offers a 144Hz option. On top of that, the 17-inch version of the Helios 300 is one of the most portable 17-inch laptops we’ve tested measuring at 29 mm in height and tipping the scale at 2.96 kg (6.5 lbs). The battery life is also quite good, providing a tad below 7 hours away from the plug. Let’s step out of this world with Alienware 15 R4. This gaming beast boasts up to the latest 8th gen overclockable Intel Core i9-8950HK processor. Furthermore, you can choose between a good number of GPUs – NVIDIA GeForce GTX 1080 Max-Q, GTX 1070, GTX 1060 or AMD Radeon RX 570. Also, you are presented with up to 16GB of RAM, as well as up to 256GB SSD + up to 1000GB HDD for storage. On top of that, Intel Optane technology further enhances the computing and storage experience. Your out-of-this-world gaming is ensured by a 15.6-inch IPS panel that comes with either Full HD (1920 x 1080) or 4K UHD (3840 x 2160) resolution. You could also go for the Full HD (1920 x 1080) 120 Hz TN option. Additionally, this model has a profile thickness of 25.4 mm and weighs 3.49 kg (7.7 lbs). Also, the Alienware Cryo-Tech V2.0 cooling keeps the thermals under control even under extended workloads. 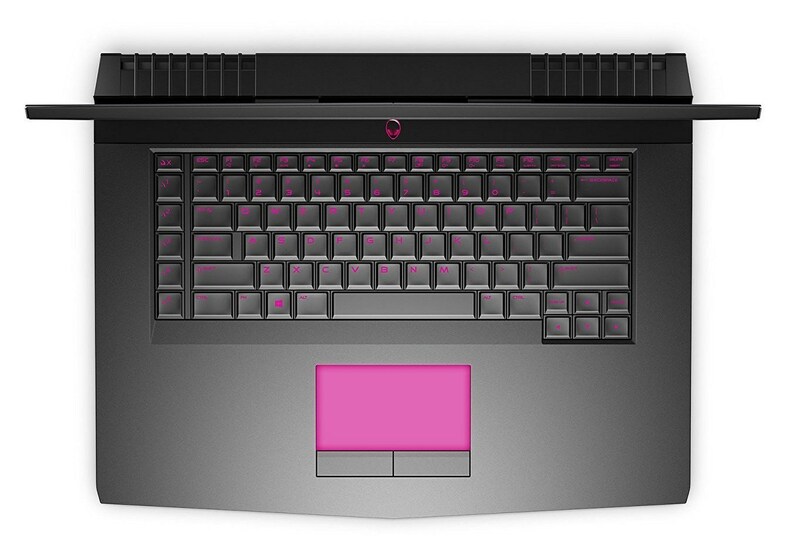 We continue with another gaming laptop from the realm of alien technologies. Alienware 17 R5 ships with either an Intel Core i9-8950HK or a Core i7-8750H processor. In addition, you are presented with a wide variety of graphics cards to choose from including NVIDIA GeForce GTX 1080, GTX 1070, GTX 1060, Intel UHD Graphics 630, as well as AMD Radeon RX 570 (Laptop). Furthermore, this gaming beast relies on up to 32 GB of RAM and also offers a dual-storage option of up to 512GB SSD + up to 1000GB HDD. For the purpose of the enjoyable viewing experience, Alienware 17 R5 boasts a 17.3-inch IPS display which ships with Full HD (1920 x 1080), QHD (2560 x 1440) or 4K UHD (3840 x 2160) resolution. Other intriguing merits include an external graphics port for Alienware Graphics Amplifier, as well as Alienware’s Cryo-Tech V2.0 cooling. And lastly, the 4.42 kg (9.7 lbs) chassis measures at 29.99 mm in height. Next on our list comes this Republic of Gamers member which is claimed to be among the best gaming laptops for 2018. For starters, let us move on to the important hardware components of this bad boy. It boasts the latest 8th gen Intel Core i7-8750H or Core i5-8300H processor accompanied by an NVIDIA GeForce GTX 1070 or GeForce GTX 1060 graphics card. Indeed, that’s another amazing combination that will certainly provide enough performance for even the most demanding tasks. As far as the storage configuration is concerned, we are presented with 1000 GB of HDD and a 6000 GB solid-state drive. 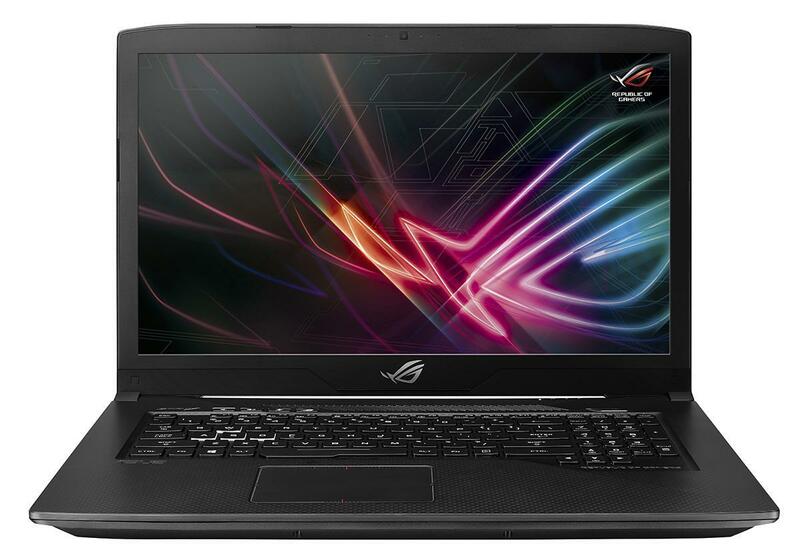 The gaming notebook also offers up to 32 GB of RAM which has become a standard nowadays. On top of all this, you are presented with the “first in the world 144Hz screen with ultrathin bezels” that will undoubtedly ensure incredible gaming experience. The 15.6-inch IPS display boasts 96% sRGB coverage, as well as lack of PWM, therefore it is one of the best gaming screens we’ve tested. What’s more, more than 6 hours of work on a single charge in combination with an impressive weight of 2.4 kg make ROG GL504 the perfect gaming laptop on the go. 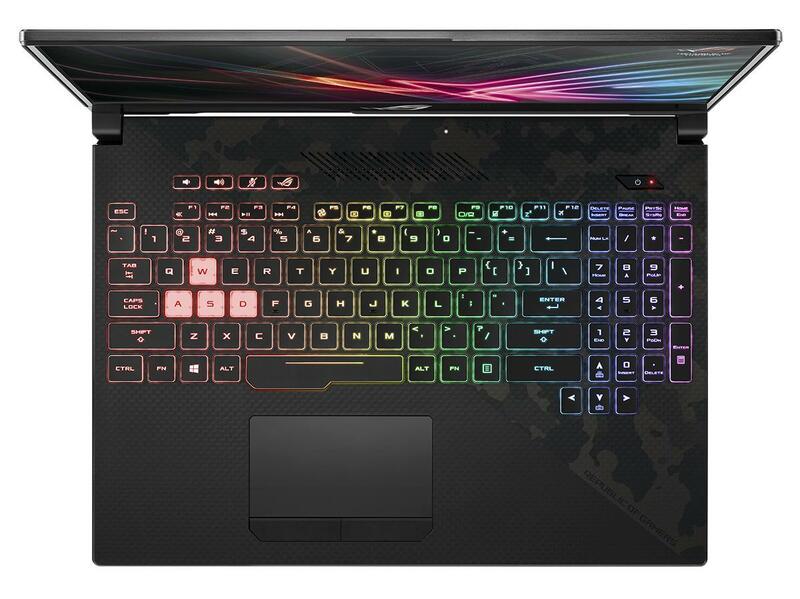 We move on with the aggressively stylish ASUS ROG SCAR Edition (GL703VM). 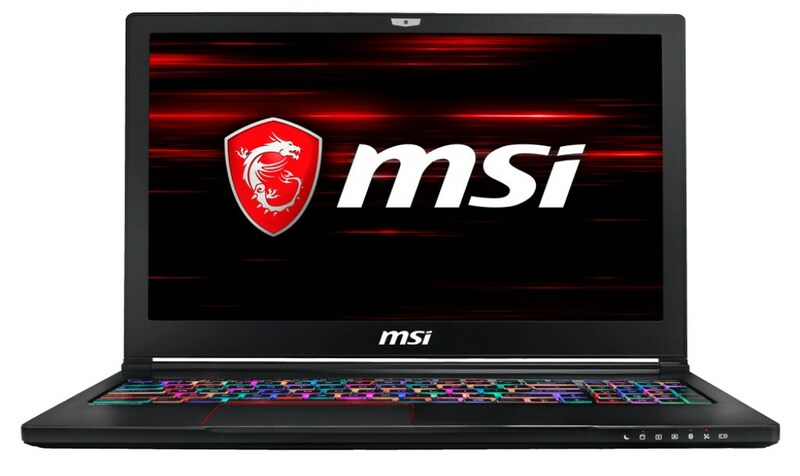 This notebook comes in configurations with 7th gen Intel Core processors or the 8th gen Intel Core i7-8750H paired with the NVIDIA GeForce GTX 1060 GPU. Additionally, you are presented with up to 32GB of RAM, up to 4000GB SSD + up to 2000GB HDD and 76Wh 4-cell Li-Ion battery. We are content with this combo which promises not only smooth multitasking but also fast loading of heavy software applications as well as decent battery life. In order to ensure beautiful gaming experience, ASUS ROG SCAR Edition (GL703VM) offers a 17.3-inch 120 Hz TN panel with Full HD (1920 x 1080) resolution. Additionally, this model has a profile thickness of 24 mm and weight of 2.90 kg (6.4 lbs) which is quite reasonable considering the hardware inside. Our list continues with another Republic of Gamers representative. 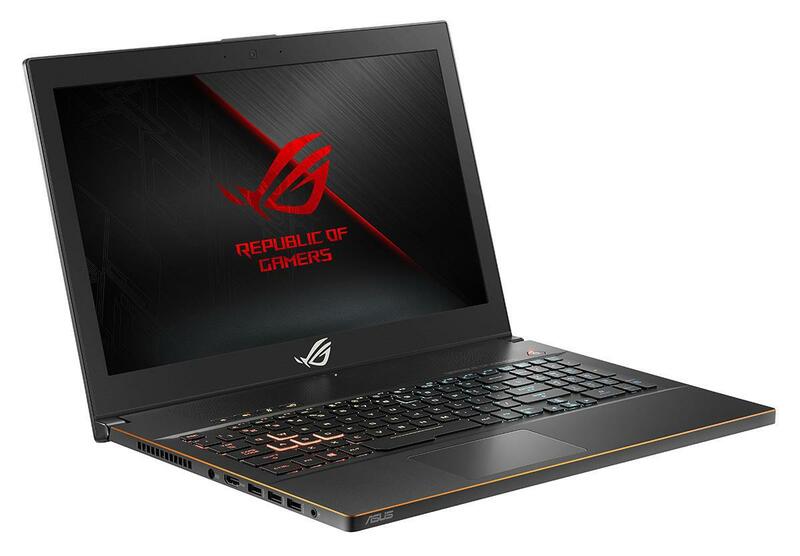 ASUS ROG Zephyrus GU501 makes use of the 8th gen Intel Core i7-8750H processor and an NVIDIA GeForce GTX 1060 (6GB GDDR5). Also, you get up to 16GB of DDR4-2400 RAM, as well as a dual-storage option of up to 256GB SSD + up to 1000GB HDD. Well, that’s yet another great configuration that will certainly suit even more refined tastes. Moving on, ASUS ROG Zephyrus GU501 boasts a bright and vivid 15.6-inch TN panel featuring a refresh rate of 120Hz and Full HD (1920 x 1080) resolution. The specs sheet is complemented by а 2.50 kg (5.5 lbs) chassis that measures at 17.8 mm in height. Another really pleasant peculiarity is the ASUS AURA RGB backlit keyboard that will make the work in darker environments more comfortable. 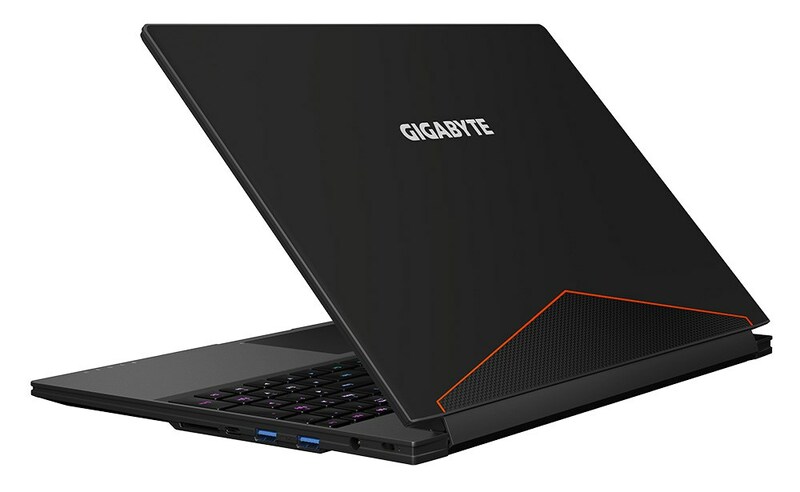 And so, we are now going to take a look at GIGABYTE AERO 15 / 15X which might be a nice option for the fans of 15-inchers. Among the most notable specs of this machine, we notice the NVIDIA GeForce GTX 1070 Max-Q or GTX 1060, accompanied by an 8th gen Intel Core i7-8750H processor. Such hardware allows you not only to play various titles but also take up various creative tasks such as video editing. When it comes to storage, the notebook comes with up to a 4000GB SSD so you can install a good number of programs on the SSD. As for the memory capacity, the maximum here is up to 32 GB of RAM. Display-wise – the AERO 15 / 15X offers a 15.6-inch Full HD (1920 x 1080) 144 Hz IPS panel but also comes with an option for a 4K UHD (3840 x 2160) IPS one. We should also mention the aluminum construction which weighs just 2.00 kg (4.4 lbs) and features an 18.9 mm thin profile. 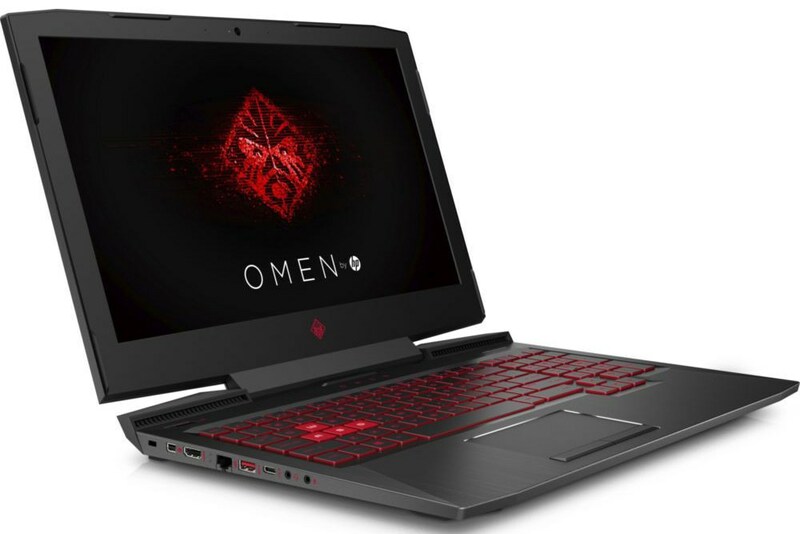 Let’s move on with a mid-2017 iteration of HP Omen 15 – the HP Omen 15 (15-ce000) model, to be precise. Starting off with the hardware side of things, this bad boy comes in configurations with the 7th or 8th gen Intel Core processors paired with up to 32 GB of RAM. There are quite a few graphics options to choose from – NVIDIA GeForce GTX 1060 Max-Q, GTX 1060, GTX 1050 Ti, and GTX 1050. As far as the storage configuration is concerned, we are presented with 2TB of HDD and a 2TB solid-state drive. The notebook also boasts a revamped aggressive design that employs the black-and-red aesthetic. You get a 15.6-inch IPS display with two resolution options – either Full HD (1920 x 1080) or 4K UHD (3840 x 2160). Also, the 2.57 kg (5.7 lbs) chassis features a 25 mm thin profile. It’s time to jump over to another bigger brother in this series – what we have in mind is the 17.3-inch HP Omen (17-an000). 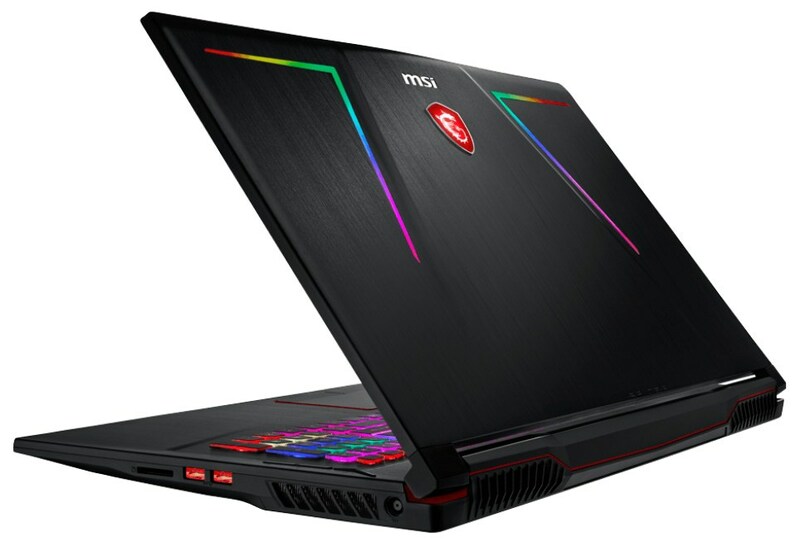 Quite expectedly, it boasts the same aggressive gaming design of its smaller 15-inch sibling. When it comes to hardware, you can configure your notebook with various 7th gen Intel Core processors or the 8th gen Intel Core i7-8750H. As for the graphics card, some of the options include NVIDIA GeForce GTX 1080, GTX 1070, GTX 1060, and AMD Radeon RX 580. Additionally, the model comes with up to 32 GB of RAM and a combo of up to 1000GB SSD plus up to 2000GB HDD. You also get a good variety of display options so you can find the perfect one for you. The 17.3-inch IPS panel offers Full HD (1920 x 1080) resolution with 120 or 144 Hz refresh rate. You could also go for a 4K UHD (3840 x 2160) option. Additionally, the notebook fits all these features in a construction which weighs 3.73 kg (8.2 lbs) and measures at 33 mm in height. Now, let’s take a look at what this gaming fellow by MSI. 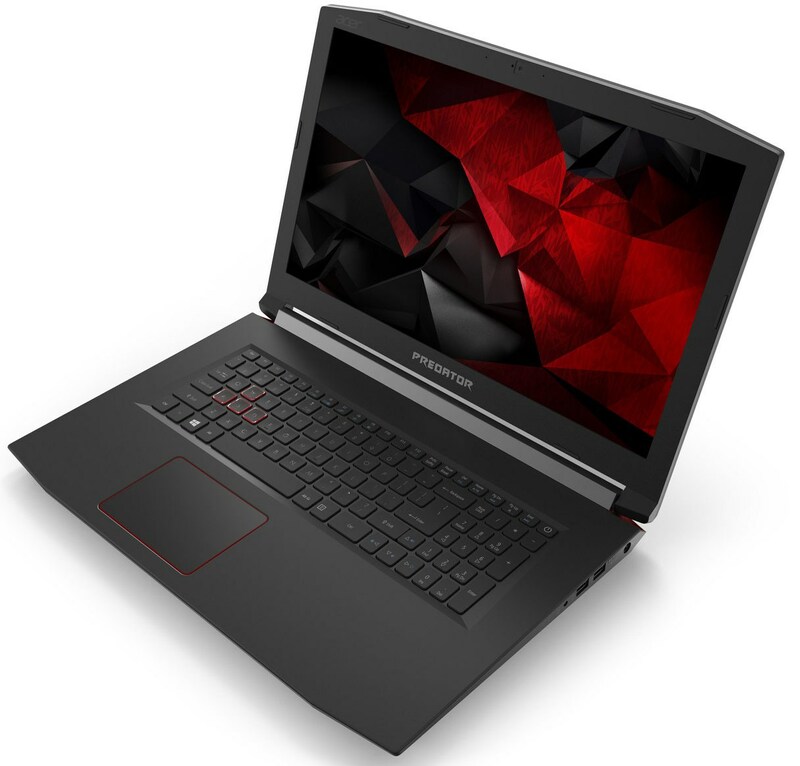 Under its hood, GS63 Stealth 8RX sports up to an 8th gen Intel Core i7-8750H processor that can be paired with NVIDIA GeForce GTX 1070 Max-Q, GTX 1060 or GTX 1050 Ti. This is not all, though, as you are presented with 32 GB of RAM, while the storage configurations go up to 2000GB SSD plus up to 1000GB HDD. This combo will certainly deliver fairly decent performance in the latest gaming titles. Another great merit of this bad boy is its display. We are dealing with either a 15.6-inch 4K UHD (3840 x 2160) IPS panel or a 15.6-inch Full HD (1920 x 1080) 120 Hz TN one. The specs sheet continues with a 1.89 kg (4.2 lbs) chassis with a 17.7 mm thin profile. 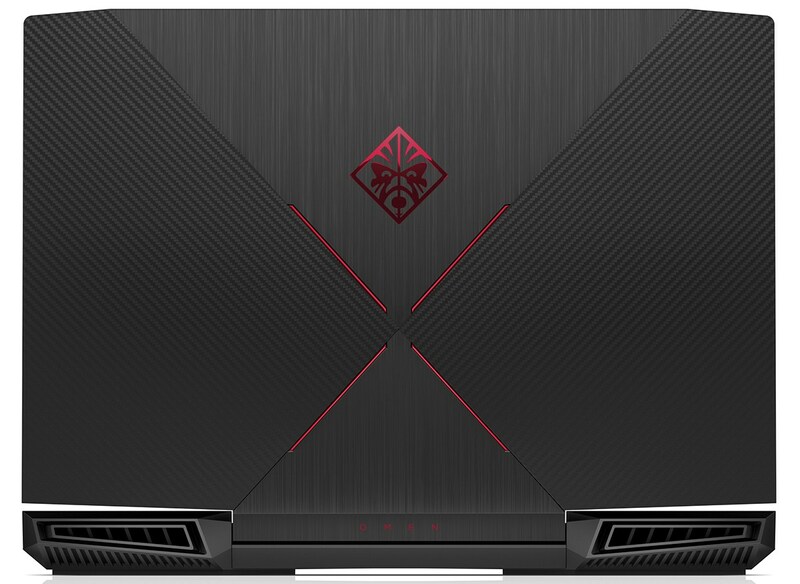 The list goes on with another MSI member in the face of GS65 Stealth Thin 8RX. Starting off with hardware options, you are presented with an 8th gen Intel Core i7-8750H processor paired with NVIDIA GeForce GTX 1070 Max-Q or GTX 1060, of course. The combo with the available graphics card will inevitably result in more than a pleasing gaming experience. Other specs worth mentioning are up to 32 GB of RAM, as well as up to 4000 GB of SSD storage. Also, if you decide to go for this laptop, you will get a 15.6-inch Full HD (1920 x 1080) TN panel that boasts a 144 Hz refresh rate ensuring immersive visual experience. Furthermore, as its name suggests, the notebook also stands out with fairly good portability boasting 17.7 mm thickness and 1.80 kg (4 lbs) weight. 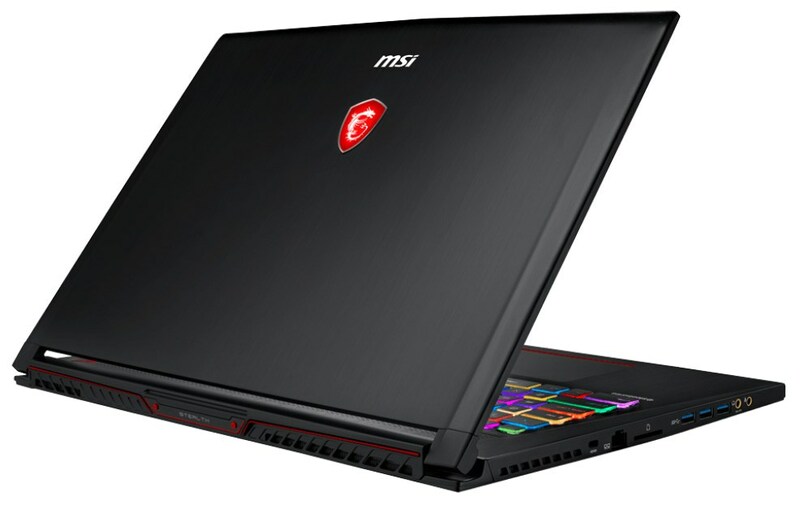 Now in the spotlight comes MSI GS73 Stealth 8RX. For starters, under its hood, you can find an 8th gen Intel Core i7-8750H processor paired with a GeForce GTX 10-Series graphics card – to be precise, the options include NVIDIA GeForce GTX 1070 Max-Q, GTX 1060 and GTX 1050 Ti. In terms of memory capacity, this bad boy relies on up to 32 GB of DDR4-2400 RAM and you get a dual-storage option of up to 2000GB SSD plus up to 2000GB HDD. A combination that is able to handle anything you throw at it, indeed. What’s more, this model will come with a 17.3-inch 4K UHD (3840 x 2160) IPS display or a 17.3-inch Full HD (1920 x 1080) 120 Hz TN one to immerse you to a greater depth in the gaming world. All these features are packed in a construction that tips the scale at 2.43 kg (5.4 lbs) with a 19.6 mm thin profile. And so, we come to a conclusion. 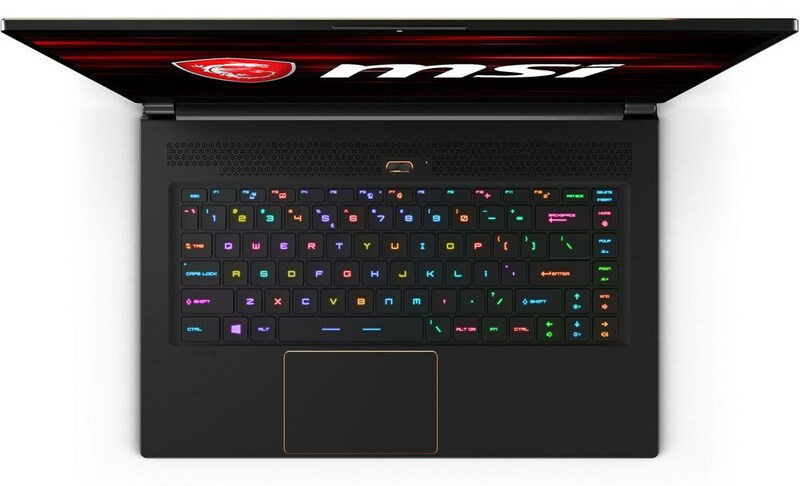 We are talking about MSI GE73 Raider RGB 8RX which is powered by the latest 8th gen Intel Core i7-8750H processor accompanied by either an NVIDIA GeForce GTX 1070 or GTX 1060 ensuring smooth gaming experience. Memory-wise, you can get up to 32 GB of DDR4 RAM and up to 6000GB SSD + up to 1000GB HDD depending on your needs. Another merit of this gaming beast is its 17.3-inch display that incorporates either a 4K UHD (3840 x 2160) IPS panel or Full HD (1920 x 1080) 120 Hz TN one. In addition, the 2.89 kg (6.4 lbs) construction measuring at 30.15 mm in height packs a 6-cell 51 Wh battery unit. Alianware R4 is available in India?? ?